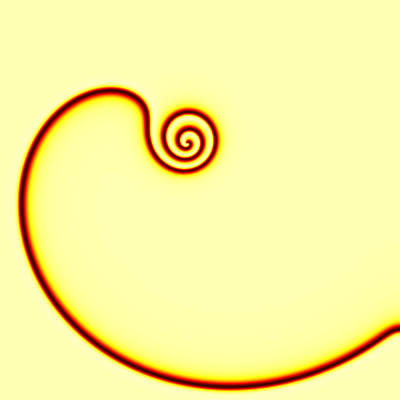 New type of spiral wave where the inner and the outer parts are wound in opposite directions. Numerical simulation of the complex Ginzburg-Landau equation (CGLE) with periodic external forcing. The forced CGLE is a general mathematical model for periodically forced oscillatory reaction-diffusion media, e.g. the light-sensitive BZ reaction or the catalytic CO oxidation on Pt.